So there are a few places in London that I’m not that partial to. Some are a matter of distance and the others just a matter of personal taste. I’m not a fan of Brixton at night. Sue me. Daytime either. But then the economic climate being as it is I am fairly strict about my 45 minute rule. And so this unfortunately does mean I have to include some places in South London. This has been emphasised by an encounter last year. It started off innocently enough when a random guy came to talk to me on Charing Cross Road. I ignored my initial assessment (waistcoat worn but not in a Shoreditch chic way more of a 90s Jodeci way, gold tooth and…. were those pleats in his jeans?) and went with it because let’s face it in a #datingrecession you are just pleased someone still has the energy to talk to you. He was cute, well built and definitely looked like he could lift me. It’s the little things. But he had one of those voices that I wasn’t too keen on either. You know where he mumbles a lot and sounds like he’s talking with his mouth full? Yes I realise that this is a cool thing that all the kids are doing but seriously, I kind of like to know what people are saying. Saves time and avoids confusion. You never know what sexual act you are agreeing to. But, despite my better judgement I allowed him my number and walked off to do something less boring. I didn’t expect him to call but he did and I had to listen to him say things like “so what you saying” and tell me about his life as a student. Did I mention he was a student? That weird hybrid of nearly mature as in early 20s but that’s because he proudly told me he had messed around at school. This rankled my African sense of the value of education but on that day I was hornier than I was moralistic. He told me not to worry as he supplemented his course with a job in a warehouse. This explained those arms. I was back in the room. night. He didn’t seem to know any titles of DVDs when I asked him. Or maybe I just didn’t hear him. He was still doing that heavy tongued mumble thing. As time progressed the night was just DVDs to be determined on the night. I wasn’t too keen at this point as he couldn’t even stretch to a kebab? Or a Nandos? Was I meant to bring my own DVDs? Would he even get the humour of 9 seasons of Seinfeld? I had so many questions to ask but for fear that he would attempt to answer them I didn’t bother. And then he said that he lived in Elephant and Castle. Before he had tried to jazz it up to Borough but then realised that to make his dream of a DVD night a reality he would have to come clean. So then he suggested that he meet me there. There are stations you meet people at and those that you don’t. Any station with more than 2 exits just isn’t a good look. The time spent walking around Kings Cross whilst they are sitting in St. Pancras is not an experience that I want to repeat. But, a station on a roundabout? 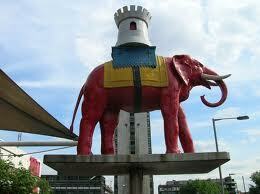 I had done Elephant and Castle before for an ex who lived in New Cross. He and 40 minutes of standing at the station in hot pants is the reason I don’t do South London travel. 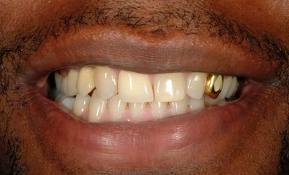 So I thought of the gold tooth (urgh) the thick tongue (potential if he didn’t use it for talking) and the madness that is that roundabout. I made an executive decision to exit this exchange, mumbled something and disappeared. 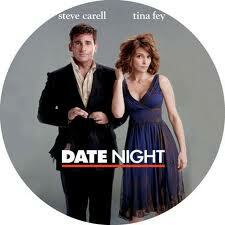 Yep, men aren’t the only ones that can make an exit when the prospect of a date turns into DVDs and a roundabout. Life is just too short.